More 4 Mom: Win a Kindle - don't wait for Christmas get yours now! Win a Kindle - don't wait for Christmas get yours now! Do you have a Kindle on your wish list? Don't wait for Santa to bring one! 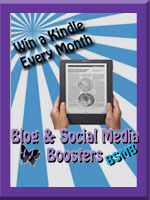 Enter the Kindle giveaway.